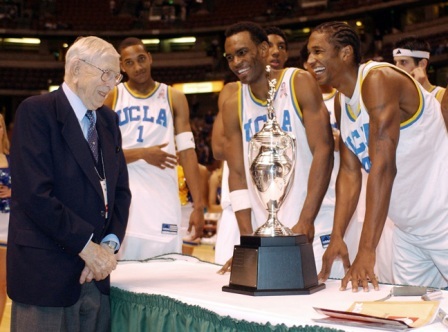 The UCLA Bruins recently lost two former basketball standouts in a span of a week. Former Sacramento Kings player Tyler Honeycutt, 27, was found dead after exchanging gunfire with police at his home in Sherman Oaks on Friday. On Sunday, Billy Knight, 39, passed away in Phoenix. Both deaths have been ruled as suicides and both victims were Southland natives. Honeycutt attended Sylmar High School before he attended UCLA from 2009-2011. In high school, he excelled in basketball and volleyball. ESPN also ranked him the No. 4 small forward in the country at the time. Honeycutt had a strong freshmen season with the Bruins, leading UCLA in blocks with 1.2 blocks per game; he finished the season with 31. He also led the Bruins in rebounds with 6.5 per game. He gathered four double-doubles that season, leading all the Pac-10 freshmen with that number. 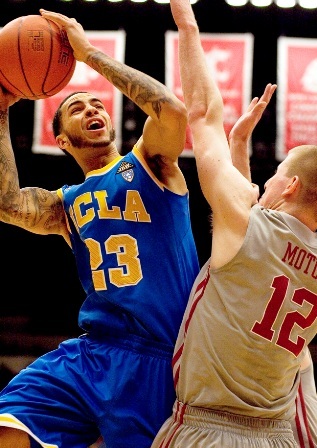 In 2011, Honeycutt was drafted by the Sacramento Kings in the second round and was with the organization until 2013. Over two seasons, he played 24 games averaging 1.2 points, 1.0 rebounds. Knight was a standout player from Westchester in the late 1990’s, getting All L.A. City first team honors for two consecutive years. As a senior, he helped the Comets have a 25-7 overall record. Knight attended UCLA from 1997-2001. During his junior year, he shot at 42.1 percent in three-pointers, having the second highest three-pointer percentage on the team. He also toured the Ivory Coast as a member of the Athletes in Action All-Star team. Prior to his death, Knight posted a video on YouTube called “Billy Knight “I am Sorry Lord”” where he mentioned that “mental illness is real” and sent a tearful apology to his younger brother, Eric. He advised viewers to get help if they were living with a mental illness and explained how he refused help when others would advise him likewise. After playing for UCLA, Knight played in the D-League and overseas in France and Japan. Honeycutt was described as outgoing and sociable but was going through mood swings and isolating himself from others as of late. He was recently living in Russia and playing for the Eastern European Professional Basketball League’s BC Khimki. According to his high school coach Bort Escoto, he was having a tough time adjusting to living in Russia. Hours before his standoff with police, Honeycutt had called Escoto to talk to him. As Escoto traveled to Honeycutt’s home, his mother told him that Honeycutt “had a gun” and Escoto told her to call 911. “He has been acting very unusual lately, and our conversations would leave me concerned for him,'' Escoto said. After the standoff that lasted several hours, the police entered the house and found Honeycutt unresponsive with a self-inflicted gunshot wound. Many people of the sports world have given their condolences for the lost athletes. UCLA Men’s basketball displayed their grievances on July 10. “Our hearts are heavy after learning Billy Knight has passed away. We ask that the Bruin family keep Billy’s loved ones in their thoughts during this difficult time,” the Bruins basketball program expressed on Twitter. Condolences for Honeycutt came from former teammate DeMarcus Cousins and the Eurolegaue among others. “The Euroleague Basketball family expresses its sadness on the untimely passing of Tyler Honeycutt and offers condolences to his family, friends, teammates, coaches and many fans. May he rest in peace,” the Euroleague stated on their Twitter.